I’m predominately a visionary, with some steady mixed in — but sometimes I wonder if I’m actually not visionary/command, with some laziness that smacks of steady. (As a child, I tended to take charge and be imaginiative.) Either way, I definitely have visionary in me, even if I’m only now rediscovering it with the help of my wife. So, visionaries: let’s talk about the journey. We tend to feel very strongly about our dreams, sometimes (often?) to the exclusion of reality. My dream, which has ebbed and flowed and which I’ve wandered away from but always come back to, has been filmmaking. At 18, I knew I wanted to be a filmmaker. Since then, I’ve gone through several stages. 2006-2007 // Daydreaming. I aspired to be a filmmaker, to change the world, to be a great person. I played with cameras and held a part-time job. 2008-2009 // Learning by Doing. I tried to become serious about film, and became increasingly dissatisfied with dabbling in it while working my part-time job. 2010-2011 // Sink or Swim. Quit my job and moved to start a business with a friend. Both very visionary things to do, as my bank account could testify from this timeframe. 2012-2013 // Complacent. God brought my path across a good contract in marketing. I contented myself with doing video work fairly regularly, and didn’t pursue outside learning or experience opportunities very much. 2014-???? // Sink or Swim 2. I got married after a 6 month courtship/engagement, moved, and tried establishing my business in a place which I came to realize (after the fact) didn’t have a market. All very visionary things to do. Passivity, apathy, and laziness can look an aweful lot like steadiness in a man, but the test is in whether he buckles down and does the work necessary to make things happen. It’s easy to be content with letting things happen to you; it’s risky to take initiative and live without trying to please everyone (especially critics). Marketing does not have to be about self-promotion and arrogance. I was afraid to sell myself because I, in my pride, didn’t want to look arrogant. I prevented myself from learning how to effectively communicate and gain work. Having $150 in your bank account is okay when all you pay is car insurance and maintainence. Living off of a dwindling savings account is not okay when you’re married, paying all expenses, and/or have a car that could die at any moment. Also, committing to living without debt is absolutely worth it, but requires a conscious split from the mindset of American culture. My work right now: I’m a web developer during the day, and in my free time it’s my job to change the world. I don’t like to identify myself as a web developer, but I have to admit… That’s what pays the bills right now. I’ve spent a lot of time lately building websites, which is never something I really aspired to do. But deep down, I’m a filmmaker. It’s my business, my dream. In this season of life — as I’m building my studio, marketing, and gaining connections — spending time behind a camera or in Final Cut often has to take second priority to work that puts food on the table. One of the hardest thing for a visionary to grasp is the fact that journeys take time. Comprehending this in a culture of Instant is more difficult, but it’s something you have to do. Dreams and visions take time to reach. Enjoy the scenery as you walk to the beginning of your vision’s journey, but be purposeful about doing the work necessary both to launch that vision and to ensure it doesn’t fall flat due to apathy, dirth, or fear. Risk is okay. Risk that recklessly sacrifices basic responsibilities of life is not okay. You might have to stock shelves during the day while changing the world in your free time. You might have to do that for a long time – maybe not. And, by the way, if anyone tells you it’s impossible to pursue a strong vision, work for a living, and lead a strong relationship with a wife and family, they’re lying. You’re a visionary: figure out how to involve and collaborate with those around you, and you’ll never have to worry about straining those intimate relationships. It’s a risky thing to step out and be a visionary. And it’s completely worth it. There’s a culture and world around you that needs some more Light and Truth in it. Go forth and do great things! Subscribe for all the latest musings! Dedicated to Karie Blair who passed into the arms of Jesus on the first of June 2014. Life is a vapor, here and then past. I think it’s forever, but it flies by so fast. Moments slip by, used once and then gone. To reach out to someone, to show love that lasts. But often I miss them as my life speeds past. A number of days – just a few years. I live for myself, no concerns and no fears. Is stuck in my pocket afraid to do more. When what I should do is shed a few tears. Moments are priceless, so learn from the past. Reach out to someone to show love that lasts. Rather than seeking to just have some fun. I choose now to live life for what truly lasts. My brother is working on creating a web series, and asked me to help shoot the first teaser. He got some friends together, met in downtown Peoria, and set up. Tyler and I walked through his vision for the shoot; I was able to have creative input to utilize the location to make a single-take video. My Miquon Math promotional from last year won a Telly Award! The essence of Miquon Math is to engage children’s minds in the ways they work best, especially through activity. I tried to capture the spontaneity and imagination of a child’s world in the visual style and edit. Storyboard cards laid out. Sometimes I have a time of interpreting my own drawings. About to roll a take. Some friends were very kind to allow us to invade their house for the afternoon. This is my minimal load out for the BMCC: sunshade attached and external battery mounted on top. Joe Stapp gave me the pleasure of cutting the first trailer for RoP 2: Men Do Hard Things. 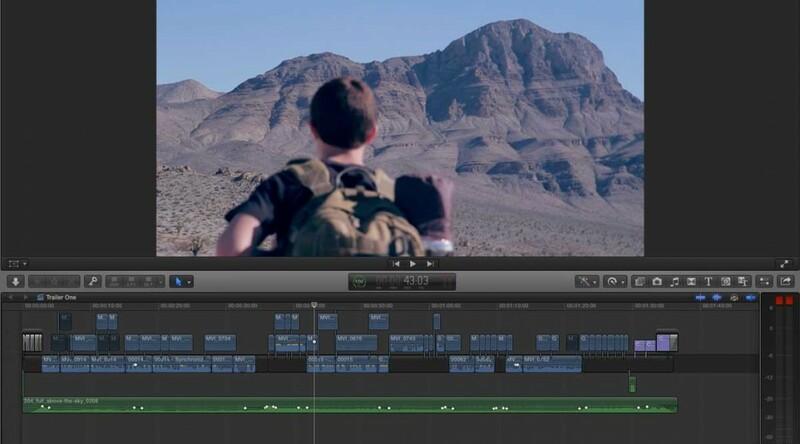 It’s been a great experience going through the footage they shot in the desert of Nevada, from talented guys like Geno DiMaria, Jon McCallum, and Frank Cheslock. They did a fantastic job capturing the story of a boy becoming a man. Rite of Passage 2 – Trailer One from Chad Stembridge on Vimeo. Check out the RoP website or Facebook page. This era is the most well-documented in history. With so many free and convenient means of publishing available, even the most obscure, bizarre, and weak voices have no trouble at least being recorded. It’d be a historian’s dream: access to every heartbeat of a civilization. But oh, the poor historians who will attempt making sense of it all in a hundred years. How will they know what was important to a culture, when it had millions of worthless bits of data spreading throughout it everyday? A parent can’t simply enjoy a child’s piano recital; he must also take video of it or pictures. A person won’t simply go out on an adventure or retreat to a quiet place for thinking; he will also share it via social networking. We’re consumers. Instead of doing something because it is good and right and beautiful, we engineer something because we have this faint tracing in our mind of those things which, a few generations back, used to be commonplace (but profound) happenings. Everything’s so very plastic-y nowadays. Actually, to my mind — plastic is a very good example of what I speak of. Things used to be made out of quality materials because that was the best thing to do. Now, in an effort to chase after maximum profit, we make imitations from cheap plastic. And plastic cannot truly replace something built of quality and principle; and so it is in life as well. Manufactured memories — are they truly memories at all? What’s the reason for this manufacturing epidemic? We’ve abused the potentially useful powers of media and social networking because we all want to wave our own flags — and for as many people as possible to “like,” “RT,” or “+1″ them. We could create meaningful connections, but instead we vie for attention. As a result, we’ve lost the ability to give and experience both simple and profound moments by seeking to manufacture them. By trying to be heard by the masses, we’ve sacrificed truth, aesthetics, authenticity, and deep relationship on the altars of the popularity gods. By immersing ourselves in the ocean of voices, we’ve isolated ourselves from reality. 1) Run With It: it’s available to use and not going away. Might as well participate in and consume it rather than be left out to dry — besides, it’s fun, lets you have a voice, and can connect you to hundreds of people. This is the worst option of the three, and the attitude of the majority. 2) Withdraw or Greatly Limit Participation; there are too many voices already, most of them irrelevant and worthless. 3) Participate Intentionally. Because of the sea of voices, limit those you pay attention to so connections and relationships remain meaningful. When participating in the culture, focus on contributing things that really matter. This is the best option for most, but only a small number of people hold this attitude in its pure form. Instead of waffling between the first two attitudes (easy to do), how more impactful could it be to have a balanced and purposeful attitude toward the modernities that surround us? Certainly that balance would be difficult, but not impossible. Ultimately, eternity is in mind. Is your voice going to matter in the end? Will you stand before God having nothing to show but a life of self-promotion? Or will your life be well-spent, consumed with bringing a little it of His Kingdom to this world, a little bit of light in the darkness, a small voice of worth in a deafening roar of vanity? The apostles often engaged culture in the places they were: the Jews in the Synagogues; Greeks in their forums; common people in the streets; travelers on the road. (Ironically, modern popular Christianity has flipped this by trying to bring unbelievers into the Church.) They went to people where they were — but didn’t try to be everywhere at once, reach a certain quantity of people (though they cared about all), or gain followings of adoring fans. They brought light, healing, and truth to their audiences, and received no popularity in return. Instead, the masses taunted, tortured, and killed them. Our attitude should be the same. Our culture has many meeting places, both real and digital. Not all of us are to embrace going to people in every place, but in the places we do go, we must bring ideas that matter. We need to serve, help, impact — not focusing on the quantity of people we touch, but on the quality of interactions with those in our circles. For some, that means reaching millions. For most, it means reaching only a few. Don’t add your voice to the screaming, flag-waving crowds. Every person in that crowd is waving his own flag and screaming louder than you are. To leave a legacy and deeply impact people, you must do good work that matters and give it to people who care. And to have the time, energy, and mental clarity for this, you must limit the voices in your life to those which are meaningful and deep. Let’s pull our eyes away from the masses — but not shun them — and focus on the things that really matter, the stuff life’s made of. A person can have sight, yet be practically blind. Vision extends beyond sight. It’s not daydreaming. It’s not an emotional hallucination. Vision is the ability to see beyond: to have a grasp on the future through a command of the present. Let’s unpack that definition and take a look at some ways vision can be built in your life. I don’t mean “control.” Sure, there are plenty of things you can control right now. But there are a whole lot more things outside your realm of personal control. To contrast, take government, for example. You can’t control what decisions our nation’s leaders make — but you can control the principles you invest in the lives of others around you, and that can lead to better government from the bottom up. You may not be able to stop human trafficking by sheer will-power, but you can choose to protect the vulnerable from it. So by “command,” I’m talking more about discipline. You might call them “habits,” or “self control.” It’s mastery over self. The person who masters his Self is free from slavery to self, and is able to better direct the choices he makes. The choices you make in this moment affect those you make in the next, leading to either the fulfillment or failure of your vision. On self-mastery’s flip side is being mastered by God, rightful King over the physical universe. Much of the time He works powerfully without (or in spite of) our help. But in His sovereignty, He gave freedom. Will we give prominence to His voice, or ours? He’s the One Who said, “Without divine vision, people are unrestrained.” (literal reading of Proverbs 29:18a) It’s easy to see two aspects of vision from this verse: first, it needs to come from God, and second, the opposite of having it is being without discipline or mastery (restraint). Part of commanding the present is choosing to allow what will and won’t have importance and influence in your life. It’s the process of eliminating distractions: saying “yes” to relationships and ideas and actions that matter, and saying “no” to those which pull you off course even a tiny bit. Is it really possible to have a grip on the future? It’s a valid question. You can touch the future simply by living, consuming, and leaving a couple children to continue the human race. This is floating. You can mar the future by pursuing self, being consumed with evil purposes, and seeking to leave a scar on the world. This is infamy. You can grasp the future by standing for principle, creating, and leaving a legacy through affecting the mindset with which your children live life. This is vision. Your great-great-uncle who nobody remembers touched the future. To walk through life with a Spirit-led vision is to truly grasp the future in a way that says, “This is a principle I stand on; I will live by it so that my ancestors may also stand on it.” It’s being a gatekeeper for future generations. If you choose to follow Jesus Christ in the radically different way of Life in the Spirit — really live it, in truth and power — how will that change the people you touch, the legacy you leave? 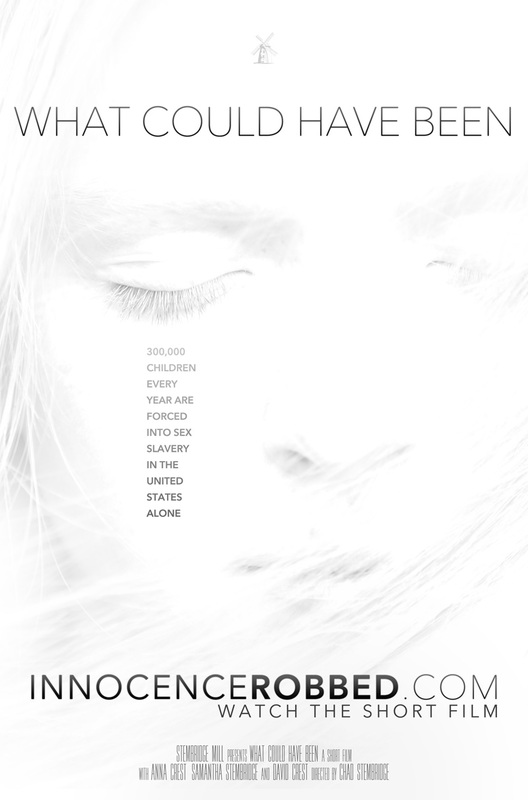 If you have the chance to prevent one child from being enslaved, who knows what might happen? If you buckle down and discipline yourself to be serious about thinking deep thoughts, then let them change your path, who will your grandchildren know you as? It’s really easy to get caught up in what you can see right now. There are a million voices clamoring for your attention, as many ways you can amuse yourself, and myriads more you can worry yourself with. Most of those voices don’t matter. The majority of amusements are distractions from real life. And worrying about the future cripples you from being able to do anything about it. Having the ability to see beyond means that, even while living Now, you’ve got a destination in mind. You’ve chosen your course and go purposefully in that direction. One example my dad always used was that of plowing fields. Early on in his hobby farming, he learned that as long as he focused on plowing straight lines by watching where his tractor was, the lines were never straight. But when he chose a point at the end of the field and drove towards it, more times than not the line would be straight. Translated to character, if your goal is to have humility, it never works to try being humble. That’s focusing on the here, the now, the obvious, the supposedly easy. To have humility, you have to learn to esteem others as more important than the all-consuming Me. That’s hard, and requires thinking ahead and self-discipline. Vision is knowing where you need to be — having an end in mind — and intentionally going for it. A deep, far-reaching, mature vision isn’t crafted in a week. My vision is still under construction, but it gets clearer as the years go on. By developing the skill of thinking, you’ll discover a whole world outside your Self. Stop to consider the commonplace. Examine the world views around you. Renew your mind in the Spirit of Holiness. Take time to consider the actions and paths you’re taking as a person. If you’re not walking in the Spirit of God, you can still have vision — but it’s not going to extend into the ultimate future: eternity. The goal of a relationship with God isn’t to further your own vision, but that’ll be a natural result of walking with Him. God’s will isn’t found hidden in a fog you have to stumble around in. By spending more time understanding the depths of His eternal will, you’ll better understand how to respond to it with choices to spread His Kingdom. Part of mastering yourself is being mastered by God. That mastery by someone or something else helps shape your vision. If you understand that God has made life sacred, you’ll have a stronger vision to see an end come to ideas like abortion and depopulation. God has equipped each of us with particular skills and interests. Many of these you gained through associations and environments growing up, but for most you can choose to invest time and effort. Sometimes God moves people to do something completely opposite of their natural bent, but often He uses people as He’s called them. Similarly to thinking, a study of the world around you yields analogies and insights to help you gain or focus vision in life. Study of the Word of God brings clarity to your worldview. Study of people’s behavior helps you understand how we work. To examine details of things takes time, effort, and often much self-discipline. For some people, picking up a skill comes naturally at first. But it’s often harder to stick with something. I’m that kind of person; if I can’t naturally do something well after a while, I tend to discourage myself from continuing to try. It’s helpful to find mentors or other ways of learning: books, classes, people who can answer questions. Vision is inherently risky. I can’t see the future, so why try to grasp it through mastery over the way I choose to live? Plus, having vision to stick to may (and probably will) mean missing out on personal comfort or gain. Small risks are stepping stones to large risks. If you overcome the fear of small risks, you’re prepared to overcome large risks — and make lasting change. All of the above ways can fit together to focus your vision; the way you think about and interact with the world will affect your actions. It’s been said that if we say we believe something, but it doesn’t change how we live, we don’t really believe it. It’s easy to lose focus on what’s important, letting your attention be sidetracked to what’s flashy and excitingly unimportant in the world. Honestly, I’d rather sit around on computer games all day than have a meaningful, risky, and (probably) uncomfortable life. That’s why I don’t allow myself to play them. When I lose my vision is when I am most prone to discouragement, paralyzation, rotten attitudes, and sin. Both my wife and I know this too well. In a way, I perish a little. And when God renews vision, it’s a fresh breath of life. Fellow disciples: let’s become a body with vision again. I need it as much as you do.